Hi, I'm Chris Organic and I'm the label manager of Organic Records. We are a UK-based label that releases whichever trance or electronic music we feel is deep, spiritual, or uplifting... or whatever other mood we feel like at the time. Each album is a concept and we may move to a totally different concept each time. I'm also a DJ and make music too, under various names and with various people. I've been doing this professionally since 1995, though before that I was teaching music production and working in different studios as an engineer. Most recently I've been working a lot on TV shows and computer game music, ads, that kinda thing, but musically speaking… together with Colin OOOD I have a new project called Benefactor... it’s a really exciting project and I hope you will all check it out. 2. 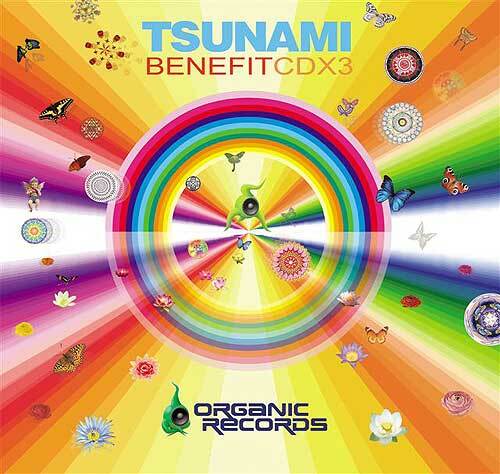 The main reason for this interview is of course the tsunami benefit compilation. Can you elaborate a bit about how you came up with the idea, and how was working on it? I think, like most people, I was really shocked to see the news and what had happened. When they started to appeal for money and help, I was thinking that it would be nice to contribute, but in a way that was much more meaningful than just giving £20 to charity. So I discussed the idea of doing a CD release especially for the tsunami disaster with the other guys in the label. At first we thought of doing a CD single, with some nice tracks from our next few compilations, but as we discussed the idea with more people, we realized this should be an album. So we thought this could be a good time to get the whole scene together, and show that we can stand up for our beliefs when the time comes. I mean, you think of how many people have traveled to these places and been influenced by their cultures. And now all these hundreds of thousands of people who suffered in the tragedy are without homes, and lost everything they have, and are suffering still now… well you know, we live very privileged lives in the West, we have good standards of living and access to a lot of information and technology, and in the trance scene we all like to think we’re very spiritual and forward thinking, and use a lot of eastern philosophies, but we seldom ask ourselves the question: “Who do we thank for all this? Who can we pay back for all our privileges?” And you know what the answer to that is? You pay back to the spirit. In this case we learned and benefited from the spirit of these people, so we pay back to the spirit of these people. We get together, and do everything that’s in our power to help these people. Working on the project was very intense, because firstly we had to work really hard to get everything finished in time to get the CD out while it would still make a difference. Of course, this meant a lot of really long hours, working nights and weekends, doing whatever it takes to get all the work done. If you think it normally takes at least 6 weeks to manufacture and market an album... we did all that in 3 weeks… so it was intense, and to be honest, I’m glad that side of it is over (all the production side) and we can now focus on promotion and other things. 3. There are quite a few known artists on the compilation. How did you manage with all the legal bureaucracy involved with creating such a track list? This question is seriously linked to the last... As the ball started rolling and we started speaking to the bigger labels, we realized that we could make this something really special: A box set, 3 CDs of the best of today’s trance and electronic music scene. We actually stopped at 3 CDs when we could have gone for 4, but we thought its best to make a limit and try to keep the costs down a little. But as to the bureaucracy... that became a real problem. I have to say, some of the big labels and band managers were really cool and co-operative with us, but some were a real nightmare. They were fine in the beginning, they were happy for their band to donate a track and not make any money... but when they realized that THEY were not going to make any money- because we were being very strict, NO-ONE is getting paid for this, not us, not our distributor, not the labels, not the artists, not the publishers, no-one- they started to be difficult. But we were strong in our conviction, and we got serious with them. I had to call them up and say stuff like “Ok, listen. This is who’s gonna be on this CD. This is one of the most serious releases of our time, and everyone is cool except YOU. Do you wanna be on this or not?” And that worked... I guess I can be very persuasive when I’m motivated. And finally, though it took a lot of battling, and seriously delayed our release, we got what we wanted: the best names, the best tracks, and for free, so we could donate as much as possible to the Tsunami Appeal. Of course that’s not all, we had to call all the right organizations and get our legal side sorted out very quickly, which luckily wasn’t a problem. 4. What were the guidelines which lead you to your decisions as to what tracks to pick for the compilation? Did you try to go for a certain mood? Convey a certain message through the tracks? As with all our releases, but even more so with this one, there was a concept. The concept with this album is Healing Music. We wanted the biggest and most respected artists of the Trance and Electronic scenes, in order to appeal to as wide an audience as possible, but also we wanted very special music, especially for the Chill-out CD which on this release is the FIRST cd and not the last one as with other compilations. So we were looking for very sweet, touching, powerful, spiritual music, and also the kind that will stand the test of time... music that will still sound good in a few year’s time. I also chose a lot of tracks which I know have a great effect when I play them, the kind which get everyone on the dancefloor or get people coming in the studio to see what’s happening. And also the tracklisting is a concept... the CD moves through different moods, even from one disc to the next, in a very deliberate way. It’s a journey, an uplifting and healing journey, and I hope people appreciate that when they listen to the CD. 5. Some people feel disappointed by the fact that the content of the compilation is too much full-on oriented and not enough attention was given to the progressive or the tech-trance side of the scene. What do you think about it? This is a good question. Of course, we could never please everyone and we know that, though we are trying to appeal to as wide an audience as possible. The problems we faced were, firstly we had to come up with a tracklisting as fast as possible. We had to work really fast, so we could get the CD manufactured in time to make a real difference. So the obvious thing was to go through our CD collections and choose our favourite tracks. But also when we made all our calls, we were expecting to receive a lot of music which became really slow. A lot of labels didn’t even respond. We are still receiving stuff now, even though we asked for music weeks ago and closed the tracklisting ages ago. And also, we struggled to find progressive tracks that fit in with the concept... that were dynamic enough to meet the standards of the rest of the compilation. But also I think people are looking just at the names and thinking its all full-on. That’s a big mistake! In many cases we chose very unique tracks even by those full-on artists, and I think in fact the progressive side is well represented: We have System 7, a track they wrote with Sander Kleinenberg and was remixed by Son Kite, a killer combination... we also have Atmos, Human Blue, Jirah, Benefactor, Voice of Cod, Protoculture, who are all quite progressive, and also like I said different style music from full-on artists. Wait to hear before you decide! I would also like to answer a debate going on the internet about the number of already released tracks on this compilation: yes, there are mostly released tracks. But this CD is not aimed at trance elitists. Please appreciate that when you call well-respected artists who have very busy schedules, you can’t expect them to produce a new unreleased track over-night. And also, who said anything about new=better? We could have easily filled this album with even our own unreleased music, but what we have done instead is give the album a really wide appeal. A lot of people will be buying this who may not have bought a trance CD since over 5 years ago or never even heard of some of the psytrance artists on here. So we wanted to give them the best representation of today’s scene that we could, so they would then maybe go and check out some of the releases. 6. One of the most recognizable themes in the psytrance culture is the “P.L.U.R.” theme, which stands for ”Peace, Love, Unity and Respect”. This compilation that you have compiled gives an opportunity for the people to show how much they really stand for what they supposedly represent. Do you think that Psytrance is capable of actualizing these slogans and making a difference? This is the time to see if they can. Is it all talk? Or like I said, can we stand by our convictions when the time comes? We’ve already moved mountains to make this happen. But so much more can be done yet, we need this message to spread as far as possible, and show what we’re doing here: The music scene has come together, to try and help in the best way they know how, by donating their best work for free. They are giving their music to heal the pain others are going through. Despite whatever reasons some people may have for thinking this is not the prefect CD they hoped for, can they realize that is so immaterial in comparison to people losing their home and their families? Why not just buy it because it represents your beliefs and what you love? And so it represents us all as a family coming together to help, to spread the message… and most of all, in exchange for your financial offering (which of course you are free to give otherwise to wherever you feel is right) you get something to keep as a gift: a token of gratitude and something to cherish and enjoy! In any case, you know sometimes there’s a reason to do something which is more important than because of the reward you will personally receive. What I mean by this is: if you are buying this CD because you are expecting to receive 30 unreleased tracks… that’s the wrong motive. It would be the same as us making this CD so we could make money from it. 7. 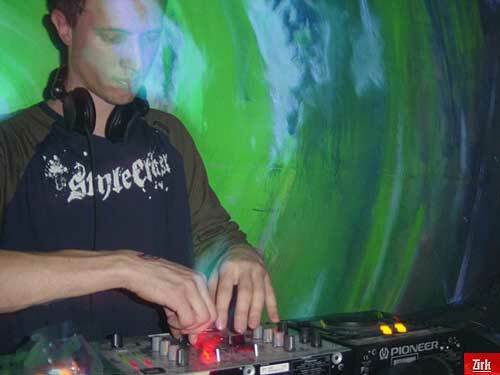 On a totally different note: I noticed recently that there is an awakened interest in the Psytrance scene from the mainstream media in the UK, and that some very well known mainstream DJs started to play more and more music by Psy artists. Do you see it as something that could lead to a new renaissance of the Psytrance or is it another fad that will fade as quick as it appeared? I remember this happening a few years back actually. The mainstream press started to pick up on our scene and hype it up. Unfortunately then I think the scene wasn’t really ready, it was still a bit immature, so it wasn’t a surprise when the media dropped it soon after. But I think now the time is right, and there’s enough people working in the scene who take it seriously and work hard for the media to have something to work on. It’s also grown a huge amount, and reached much further places than before, so there’s more for the media to bite on. Also there’s undoubtedly some very clever music being made, and the production skills of some of the artists, who work in much smaller studios than in most other commercial scenes, are really pushing the boundaries. Of course that’s going to make people sit up and listen. 8. Last week I received a saddening message about the shutting down of yet another important UK based label: the Transient Records. My personal belief is that the main reason for this is the MP3 downloading of music over the Internet, and the declining in the sales of the original material. What is your take on the matter? While music piracy may have a part to play, there’s also the argument that CD sales of some of the artists and labels are higher now than they’ve ever been. So I think there’s more to it than that, and to be very frank, I think in Transient’s case it was more a case of poor business practices, or simply a lack of enthusiasm that forced them to shut. Bear in mind that Transient is a part of a family of labels, owned and run by the same people, but all the other labels are still going and doing really well. So obviously they had their reasons for shutting down, and I don’t think it was only because of piracy because that affects every type of music. But declining sales of the original material- I think you’ve hit the nail on the head there. Of course there could be many reasons for that. But consider for a moment, just how much music is being released right now. And ask yourself, how much of that is really good, really worth buying? So of course, if you have the capability to pirate music, faced with all that impossible choice, of course you will copy the CDs you think are so-so, and buy the ones you feel are very special. And once you start on that road, its hard to turn back. We’ve all done it, so we know what the score is. None of us are millionaires and none of us can afford to go and buy every CD that’s out there, and copying music has been around since the beginning of time. I had hundreds of tapes of rock and hip-hop, the music I got into when I was a kid, and believe me, back then hip-hop was more underground than trance is today… you had to have friends send you tapes from USA if you wanted to hear that kind of music, so all you had was copied tapes if you were lucky! 9. How do you see the future of music distribution? Would it be Direct Label or Artist to Client distribution, or do you still believe in the old fashioned Artist—Label—Distributor—Shop—Client system? Well continuing from the last question, the real problem we’re facing at the moment is, in simple Economic terms (sorry that was my major  ) the market is being flooded. Anybody can get some warez and pull a couple of tracks together. Then the first thing they do is send it to the 10 biggest labels in the scene, happily expecting to get it released on the next compilation next month. They hear nothing. So they send their track to the next 10 biggest labels. They get one or 2 replies, nothing major. So they think, ok, why not start our own label and sell this ourselves. Or, they send it to some other new labels that are desperately looking for music. And I know, 'cause I see stuff being released all the time that we got as demo ages ago. Wow! What an original idea! I mean come on guys, I’m all for going out and doing your own thing, I started myself the same way... but just think, if you have music no-one else wants to release, what’s the point of flooding the market with it? That’s why labels are shutting down, because we’re seeing too many people selling stuff directly, and doing nothing original... just regurgitating what’s already out there. Only 1 out of 100 demos we receive have any originality. So the future is very uncertain at this stage I think. If people don’t start to increase the quality of what they’re trying to release, and keep flooding the market, more labels will shut down. And in many ways it’s those big labels which give the scene its exposure. 10. Where do you see the Psytrance music in 10 years from now? Hopefully people will realize it takes more to write music than just copying riffs and basslines from their favourite tracks using software on a PC. Of course it’s awesome to see PCs being able to do all the functions of a proper studio, and I can only see that continuing as computers get more powerful. But what about the things computers can’t do? What about learning to play an instrument, getting really good at it, and bringing that into the music, or learning to sing, or just writing songs and getting someone to sing them? Anything to do something more original… hopefully, as that kind of thing happens more, we’ll become recognized as being as important as any other kind of music, maybe even start to get on psy-MTV (which they’ll have to start for the demand), get more music into movies, that sort of thing. 11. Where do you see yourself in 10 years from now? Well being a future-thinking guy, and always trying to see the bigger picture, I think I’m going to be a part of the new wave psychedelic revolution which will take over the world and make people realize that fabricated sell-out pop music is pure evil, and share some paradise for my retirement with my friends and allies from the scene who made it all happen. Thanks for the interview Chris, perhaps a brief final message to our readers? I think that sums it up. Oh, except one more thing: The Tsunami compilation comes with a warning: Copying this CD can seriously affect your Karma.